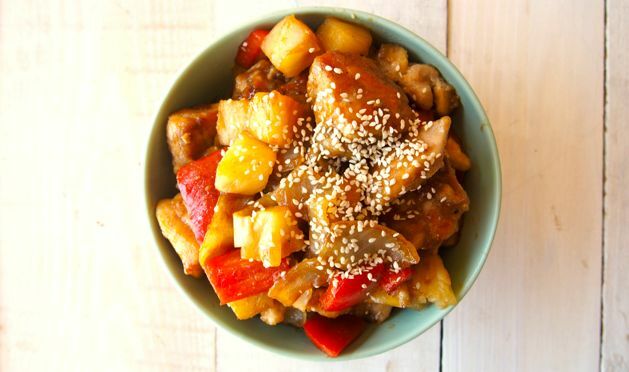 Paleo Sweet and Sour Chicken Recipe. 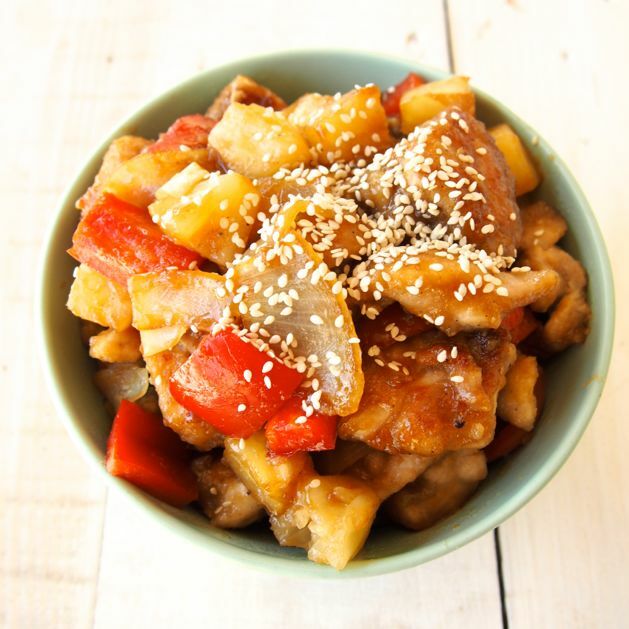 This Paleo Sweet and Sour Chicken Recipe is oh so delicious! We’re so so so excited about it! We’re also excited about it being the very first recipe included on our brand new Merrymaker Calendar! It’s a free monthly printable calendar with new recipes, inspiration and check lists! BOOM! Yes, we said free. 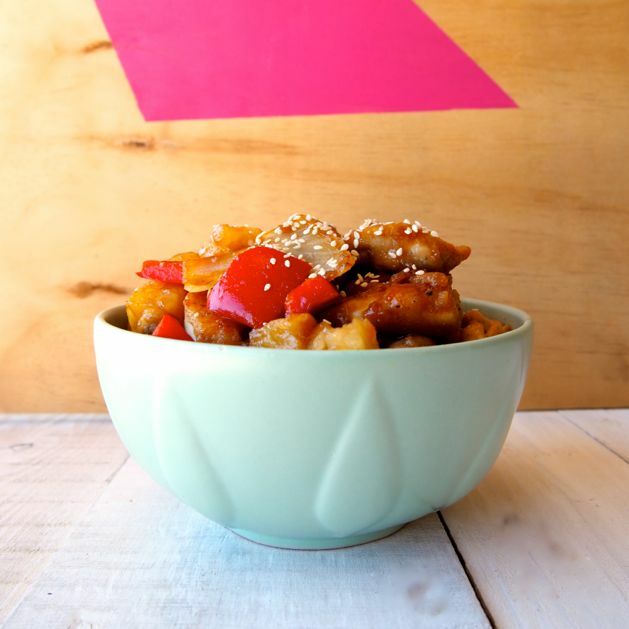 It’s the perfect dinner for when you’re craving Chinese takeaway because it’s not only easy to whip up but it gives you that sweet n sour fix… minus the tummy ache. We invited our friends over to taste test this healthy paleo dinner and they definitely approved. We served it with baked cauliflower and pumpkin. Next time we’re gonna try it with caulirice! Because… caulirice! In a bowl mix cassava flour, salt and pepper. Add the chicken and coat with the flour mixture. In a large fry pan on high heat, melt a little coconut oil and cook the chicken. Cook for about 10 minutes, turning the pieces until all sides brown. Add the onion and capsicum to the fry pan and cook for about 5 minutes. Add the honey, vinegar, coconut aminos and pineapple to the pan. Add the cooked chicken back to the pan and continue to stir. Cook until the vegetables are cooked to your liking. Serve with delicious caulirice. Find the recipe link above! Watching your fructose intake? Leave out the pineapple and honey and swap to broccoli! YUM!